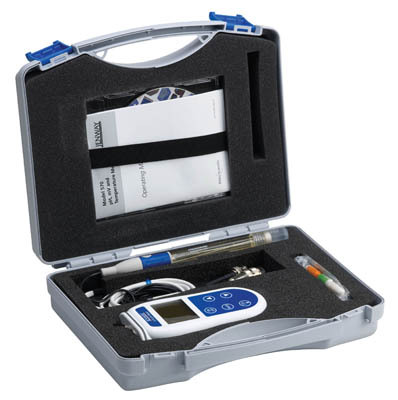 570 portable pH, mV meter supplied in carry case with epoxy combination pH electrode, ATC probe and batteries. Is a general purpose pH, mV and temperature meter with an integrated rubber seal to ensure that it’s completely waterproof. This model displays either temperature compensated pH readings or electrode potential and temperature.